It’s the pirate’s life for Kitto in this “exciting and richly detailed historical swashbuckler” (Publishers Weekly). Simon Sneed flared thin lips, revealing a disgraceful mishmash of teeth. “I was nice to you last time, wasn’t I, cripple?” he said. “This time I’ll not be so generous.” Around Simon hovered a small tribe of dim-witted, large boys. “You don’t own the docks, Simon,” came the answer. His name was Kitto Wheale—or so he thought—and unlike Simon, Kitto did not attract a circle of admirers. Kitto had been born with a clubfoot, a sure sign of God’s disapproval. “Not yet I don’t own them,” Simon said. There were six boys in all arrayed against Kitto. Simon and three others stood in front and blocked one end of the deserted alley; two boys behind Kitto blocked the other. Six to one—poor odds. Next to Kitto stood his little brother, Elias, known to all as Duck. Duck glared the most menacing look a six-year-old could muster. Simon leaned to the boy beside him. “Nick that little ankle biter.” Two stout fellows stepped forward and took Duck by the arms. “I’ll do as I like.” Simon looked down at the wet thing balanced in his gloved hand: a turd, freshly deposited in the alley only a few minutes before by a horse sweating beneath a load of coal. Duck stomped on the toe of one of the boys holding him. “Stop squeezing me!” The larger boy let out a howl. He and his mate hurled Duck to the ground, and the wounded one pinned him to the cobblestones with a knee to the back. Simon snickered. “He is a feisty one, that brother of yours,” Simon said. “He doesn’t get that from you, though, does he? But I guess he’s got a different mum, eh?” It was true. The woman Kitto called “Mother” was so only by marriage, making Duck his half brother. “Yes, he’s got a feisty mum, doesn’t he, that brother of yours? That Sarah Wheale is a feisty one, ain’t she, boys?” Simon’s eyebrows jounced. Kitto knew just then he would not try to run. There were some insults that should not be borne. Kitto shrugged. “I rub it about and you let us go? Both of us? And no beating?” He eyed the glistening stool warily. “I am a man of my word, ain’t I, lads?” Simon turned to his cronies. Kitto leaped forward, chopped one hand at the crook of Simon’s elbow, and with the other he swept up, hitting the back of Simon’s gloved hand. Simon’s arm bent. He struck himself in the face, mashing manure across his nose and cheek. There was an instant of shocked delay, and then mayhem erupted. Simon shrieked. The boy kneeling atop Duck stood, and in a trice the six boys threw Kitto to the cobblestones. They beat him and kicked him and stomped him. Kitto curled tight and buried his head in his arms. He squeezed his eyes shut. The boys kicked and punched, spurred on by Simon’s fury. An adjacent door to the alleyway opened, alerted by Duck’s pounding. A huge man stepped through it. His name was Pickett, and he was a blacksmith. He held a long bar of iron that glowed red at one end. Pickett took a few steps forward. The boys scattered like cockroaches before a lantern, Simon at their lead. Halfway down the alley, he turned. “You’ll get yours, Kitto Wheale! Just you wait and see!” he shouted, then ran on. A woman emerged from the smithy behind Pickett. She stared first at the retreating boys, then at Kitto. The look of concern on her face melted into disdain. “You know that lad was Simon Sneed, don’t you? You know who his father is?” she demanded of her husband. The blacksmith looked at Kitto with sad eyes. Kitto turned away, unable to bear his pity. The man guided the woman by the elbow. The door closed behind them, leaving Kitto and Duck alone. Kitto uncurled his body. He could feel the bruises forming on his back, on his head. He’d protected his face, at least. Maybe Father would not know he had been fighting. “I got the blacksmith, Kitto! I did what I could to help!” Duck said cheerfully. “Is it a help, Duck, when a six-year-old rescues his brother?” Kitto shoved at Duck, and the little boy fell away bewildered. His blue eyes filled. “But what was I supposed to do, Kitto? What could I have done?” Tears rolled down his rosy cheeks. Kitto knew Duck could never understand. “Just leave me alone, Duck. Get on home and leave me be!” Kitto pushed through the pain to his feet, and as best he could he set off at a run. Down the alleyway toward the main lane he went, his head bobbing as he limped. Kitto cut past a crowd of sailors and made his way to the seawall. He threw himself to the ground at the wall, disgusted and miserable. He hated Simon Sneed, who was cruel, and he hated Pickett and his wife, who saw only his bent foot. He hated his father, who would not listen, and his brother, whose body was whole. But mostly Kitto just hated himself and the twisted leg he hid beneath him. He sat there a long time, staring and hating. After a while, the sea began to work its magic. He watched the ships swing on their anchors, and a few others round the head at Pendennis Castle. And while he sat, Kitto imagined he had found a spot where the world might leave him be for just a short while. 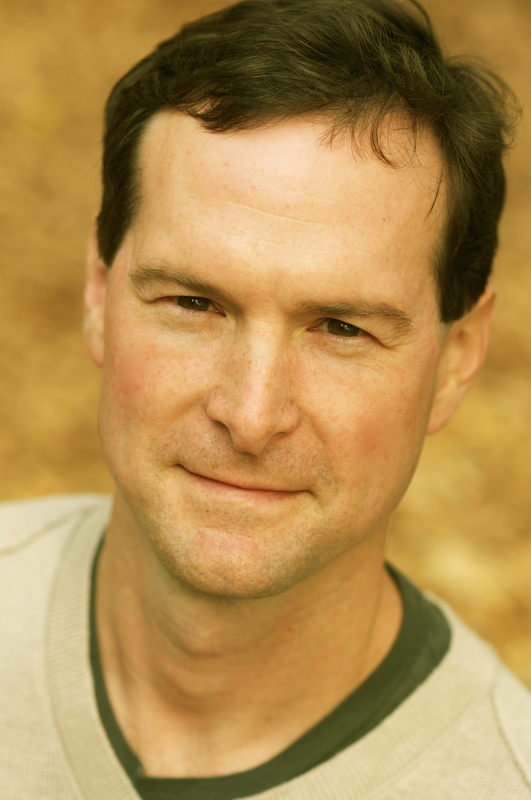 Brian Eames has taught for fifteen years at the Paideia School, a K–12 independent school in Atlanta. He read his first novel, The Dagger Quick, out loud to his class as he wrote it. 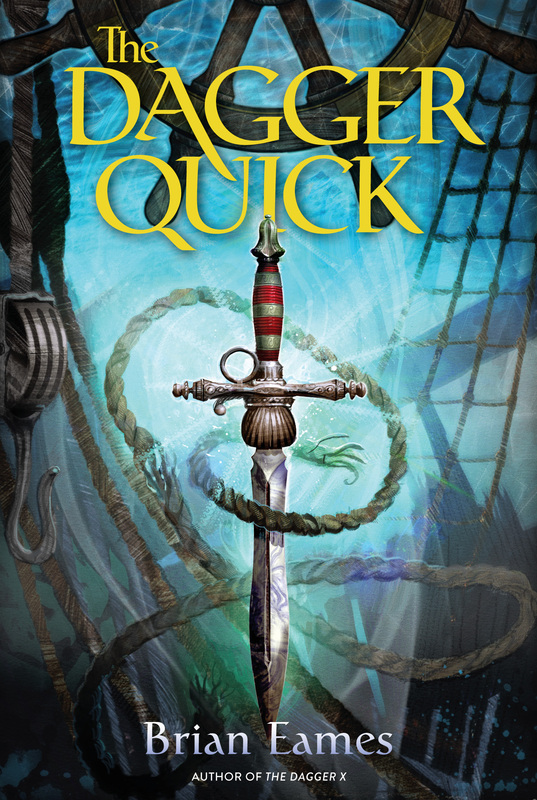 Publishers Weekly called The Dagger Quick “thoroughly researched, fast-paced, and tense…embraces the mythical glamour of a pirate’s life.” He lives with his wife and children in Atlanta. Visit him at TheDaggerQuick.com.